You can use as many different fabrics as you want. This pattern is for a quilt roughly 32” square. 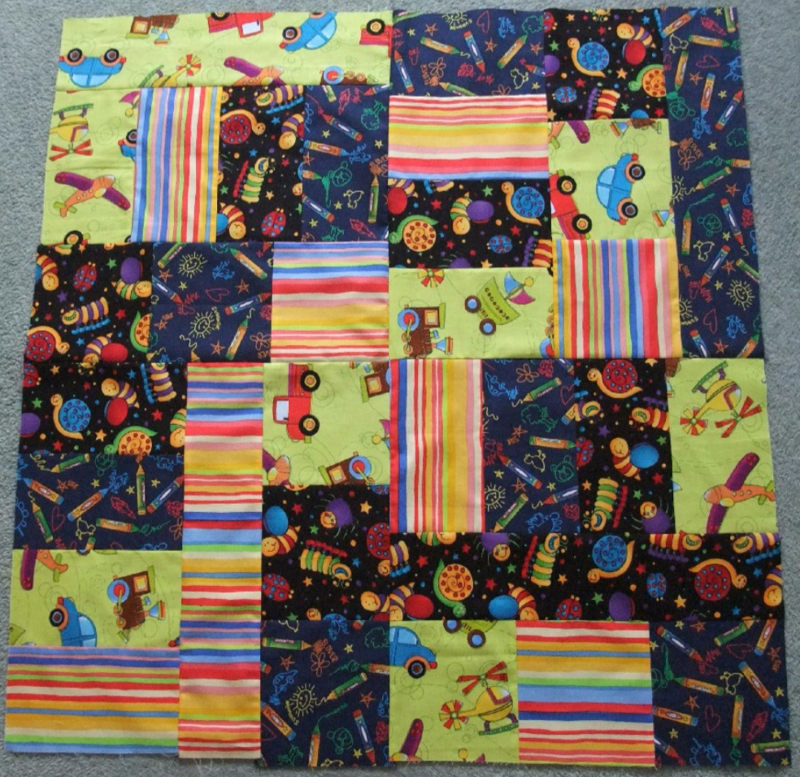 For larger quilts increase the number of 18” squares. Reassemble the squares with the colours as evenly distributed as possible. 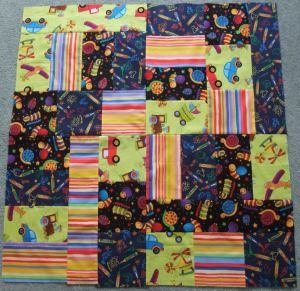 Sew the 4 joined rectangles to the sewn 3 squares. 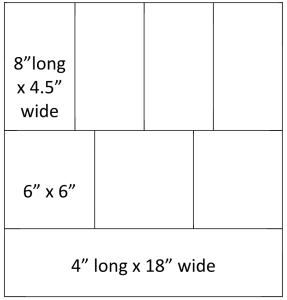 Sew the 4” x 18” oblong to the sewn 3 squares. Sew 2 reassembled squares together so they are the opposite way up. Repeat with the other 2 squares. Join the 2 sets together. 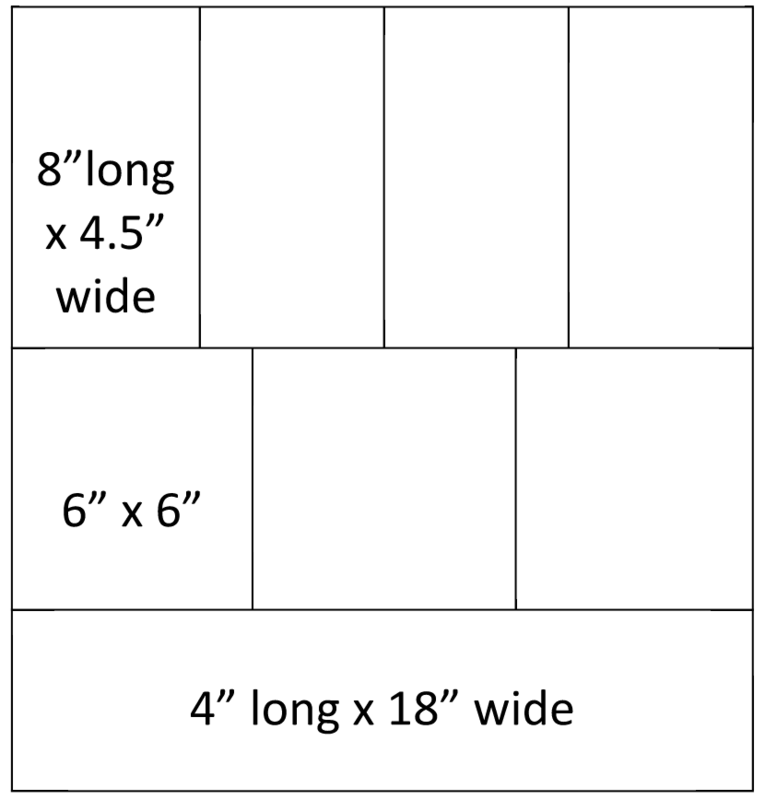 If you wish to rearrange the squares in a different way they may need to be trimmed.